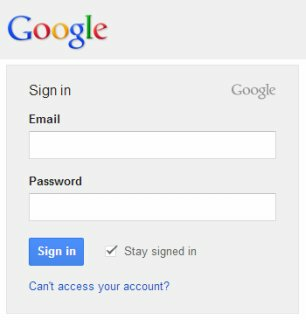 If you have experienced or are experiencing problems when trying to sign in to Google services the solution may be simpler than you think. Although there can be other reasons a primary one, albeit not well known, is that you have too many active tokens. The error message received is usually unclear and varies greatly from each service. You may receive an incorrect password message (the most confusing of all), be unable to connect and see a blank screen, or be told you have too many active tokens (google_too_many_active_tokens). If you have these types of problems while logging in with your Google account email and password to any service, site, or app you can usually rectify it by releasing some account tokens. Note: Removing a connection will not close your account with the other app/service. Although, you will have to use another token if you login there with Google again. Google would not comment on the number of tokens allowed and I don't know if the limits are service specific. The only text I could find regarding a limit is "there are limits... per user across all clients" on the OAuth 2.0 page. Based on my account I believe the limit to be around 500 tokens. A lot of people may never have this problem, but for people like me that enjoy trying new apps, websites, and services you may hit the upper limit after a while. Thanks Dain for this information, i usaully use google chrome and i face some problem like this "Sorry Google chrome not responding". why this problem come, can u please help me.